An indispensible guide, thoroughly researched, and easy to use. This landmark publication, funded by Historic Alexandria Foundation, is a concise photographic inventory of 18th and pre-Civil War 19th century buildings in downtown Alexandria. Images are accompanied by a brief synopsis of deed research on each property conducted by Ethelyn Cox, Esq. The book is currently out of print, but copies are available from the amazon.com website. The original large-size negatives and prints, along with Mrs. Cox’ detailed notes, are housed at the Queen Street branch of the Alexandria Library in the Local History/Special Collections section. The HAF Board of Trustees is currently developing plans for a new publication on Alexandria’s historic architecture. Click here to see if a used edition of Historic Alexandria: Street by Street can be purchased on Amazon.com. 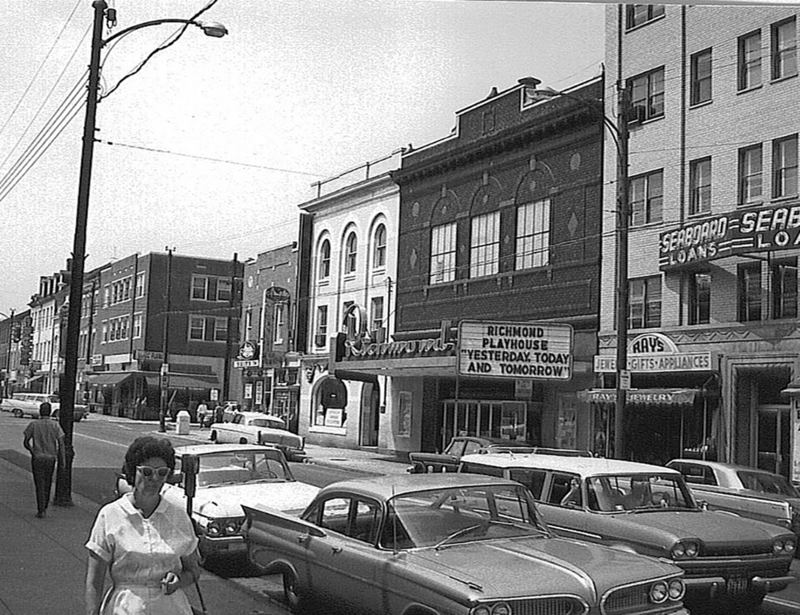 This shot of King Street in the 1950's shows the then-popular Richmond Theatre. There have been a number of efforts to preserve it as a movie house or entertainment venue - fortunately it is still standing. Constructed around 1796-1797, Lloyd House is one of the best examples of Alexandria’s late eighteenth-century Georgian style. 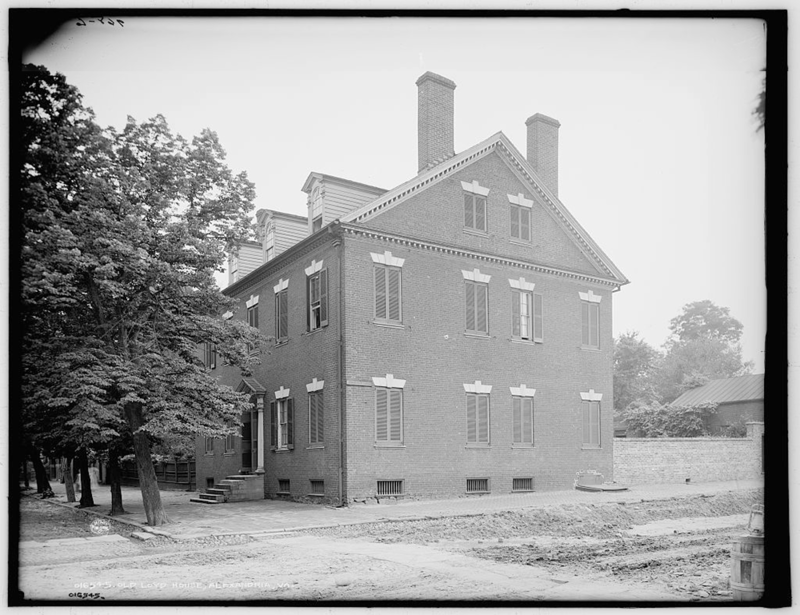 It is now used as administrative offices for the Office of Historic Alexandria.